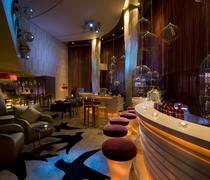 Zeta Bar at Hilton Beijing. Comedy Club China presents six great comedians doing their finest stand-up comedy acts at Zeta Bar in the Hilton Beijing. Always dedicated to bringing laughs and a wonderful stand-up experience, Comedy Club China pleases the crowd every single time. Doors open at 8pm, show starts at 9pm. Come and join us, get ready for a belly full of laughs!